Our very Own, Rozanne Jackson, has been honored with ADAC and Veranda Magazine’s Southeast Designer of the Year Award 2014. We couldn’t be more proud of her! 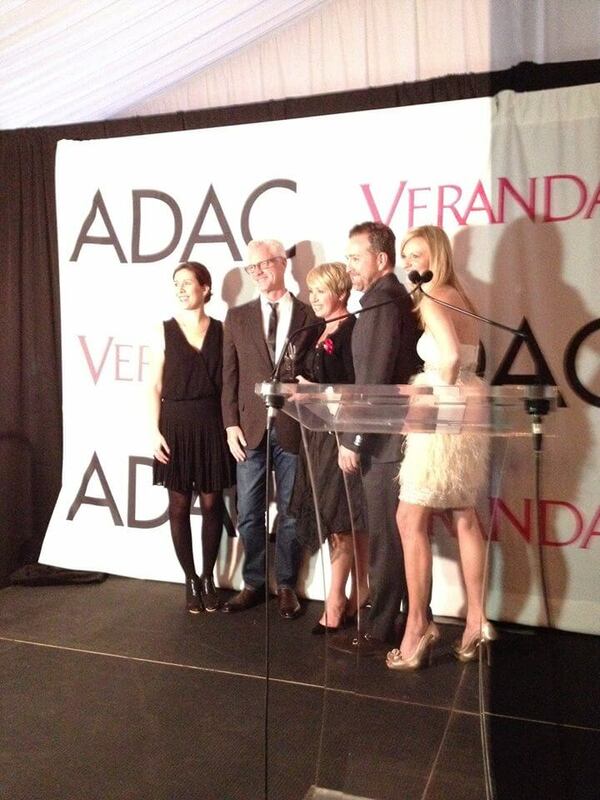 Rozanne (center) accepting the award alongside Katie Brockman, Associate Publisher of Veranda Magazine; Bobby McAlpine of McAlpine Tankersley Architecture; Veranda Magazine’s Editor in Chief, Clint Smith; and Katie Belveal, ADAC General Manager. 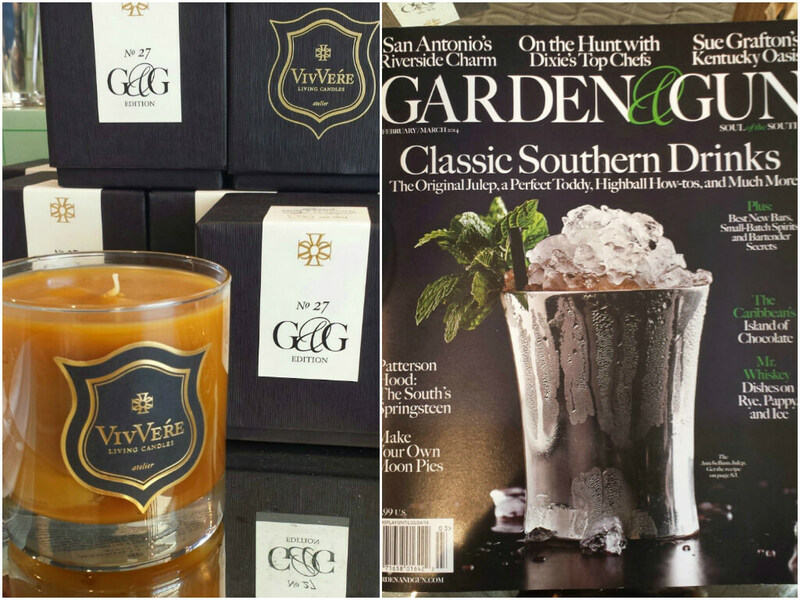 We are thrilled to present Magnolia & Moss, a scent from VivVere Living Candles, created especially for Garden & Gun magazine. 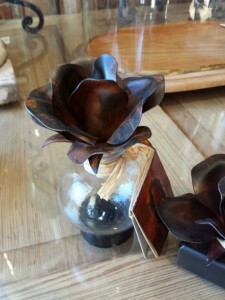 It is a perfectly southern fragrance with the sweetness of magnolia grounded by the soft, earthy tones of moss. Each purchase of a Living Candle goes to the Chadasha Foundation outreach in the Dominican Republic, which brings milk to children in need. After a harsh winter, it’s so nice to see the sun peeking out once again! 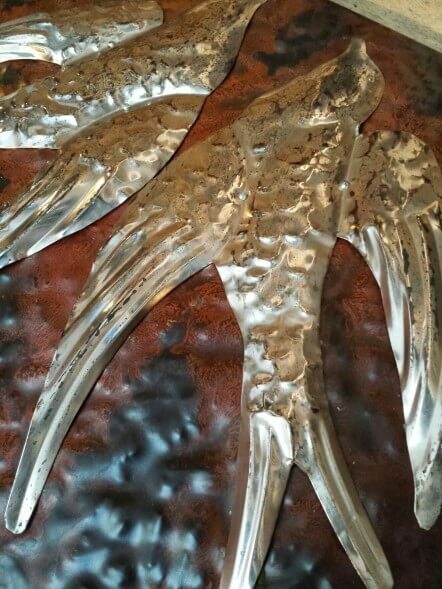 And thrilled as I am to once again see and hear the birds singing, I thought I’d share some of my favorite pieces in honor of our feathered friends. The beautiful art work of David Arms. 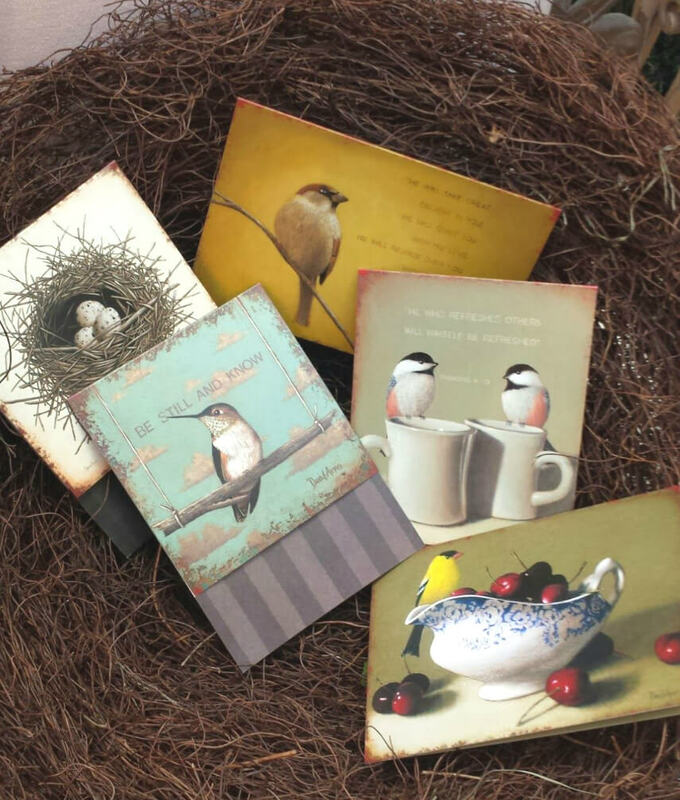 These lovely note cards are the sweetest way to send a message to someone you love. 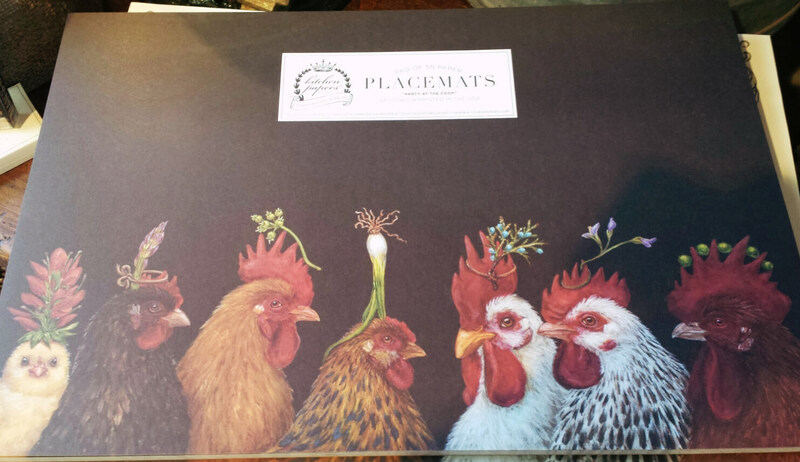 “Party at the Coop” placemats from Kitchen Papers will add a touch of whimsy to any dinner party. 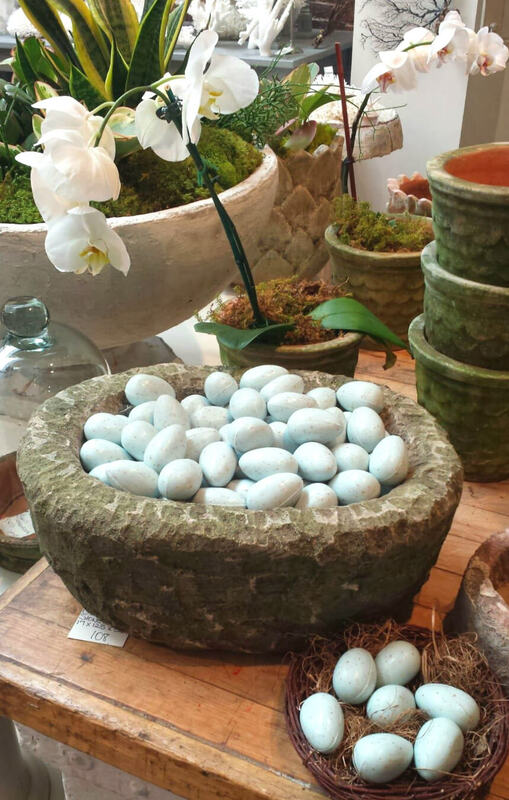 Perfect for the guest bathroom, these robin’s egg soaps are sure to charm. 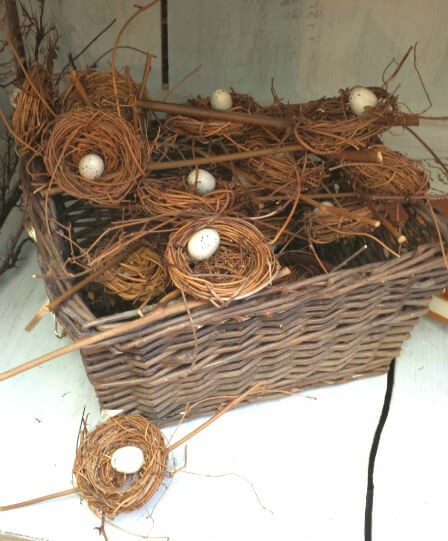 Decorative bird nests for a touch of spring in any room. 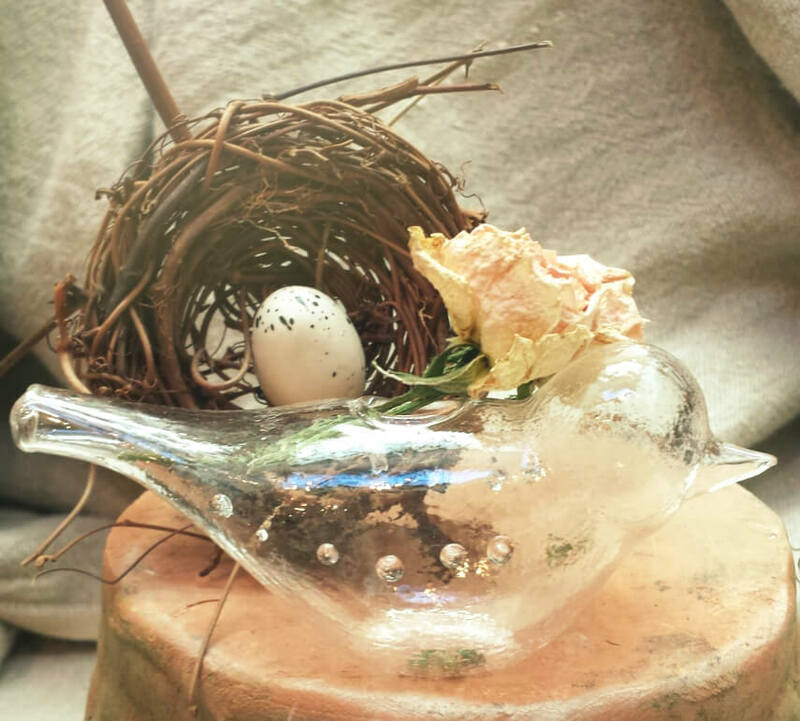 And a delicate glass bud vase for hints of color that won’t fly away! One of the wonderful things about Jan Barboglio’s designs is the unique characteristics that are individual to each piece. 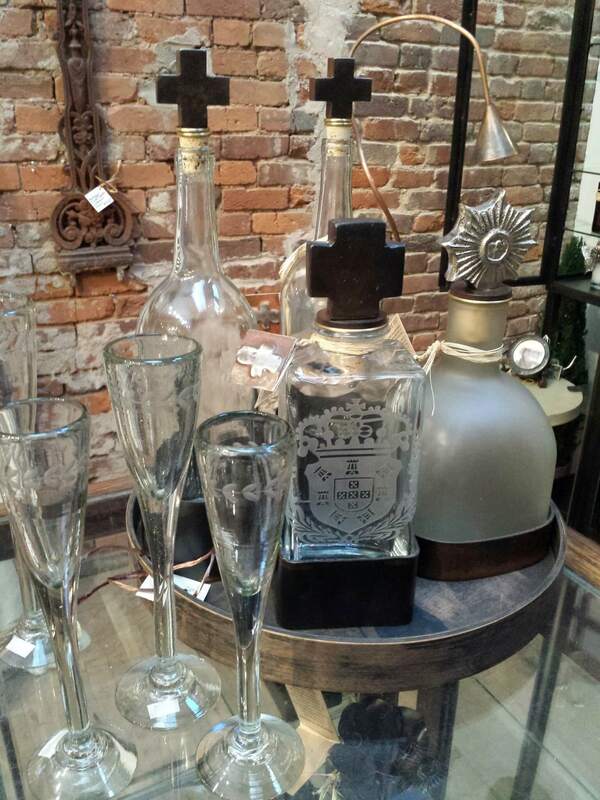 Every item is designed with the tradition and soul of old Mexico in mind, and hand finished to create the beautiful variances that collectors of Jan Barboglio’s designs know and love. 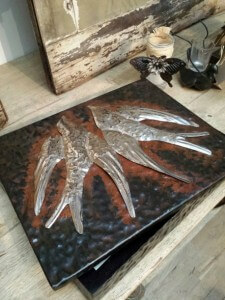 This iron box, one of my favorites, with beautiful hammered nickle doves adorning the lid, is such a lovely way to store your most precious keepsakes. The delicate beauty of a rose captured in the strength of iron is the perfect adornment for the top of this beautiful glass vessel. 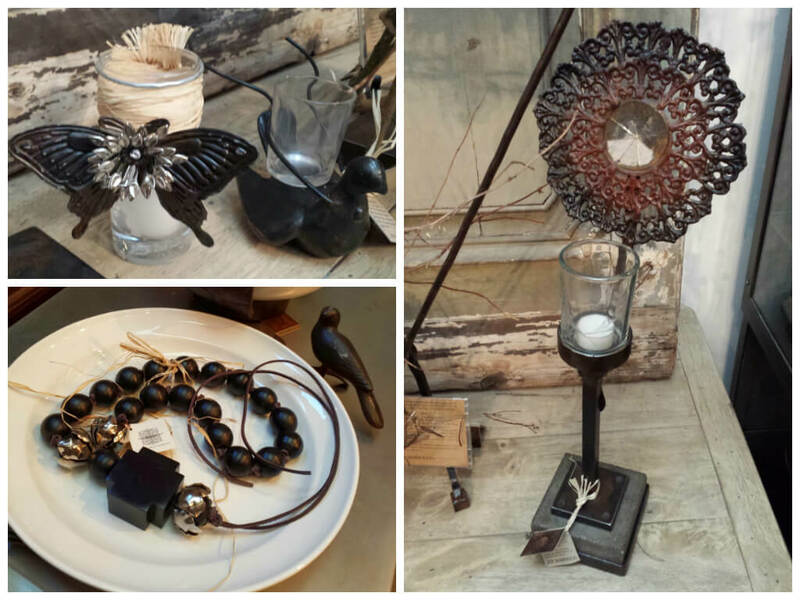 Gorgeous and functional, each piece brings with it a distinctly unique touch of primitive beauty, and traditional charm. One of my favorite things to do during the holiday season is to visit Main Street in Franklin. Bundling up, grabbing a hot cup of coffee or cocoa, and seeing the festive decorations. 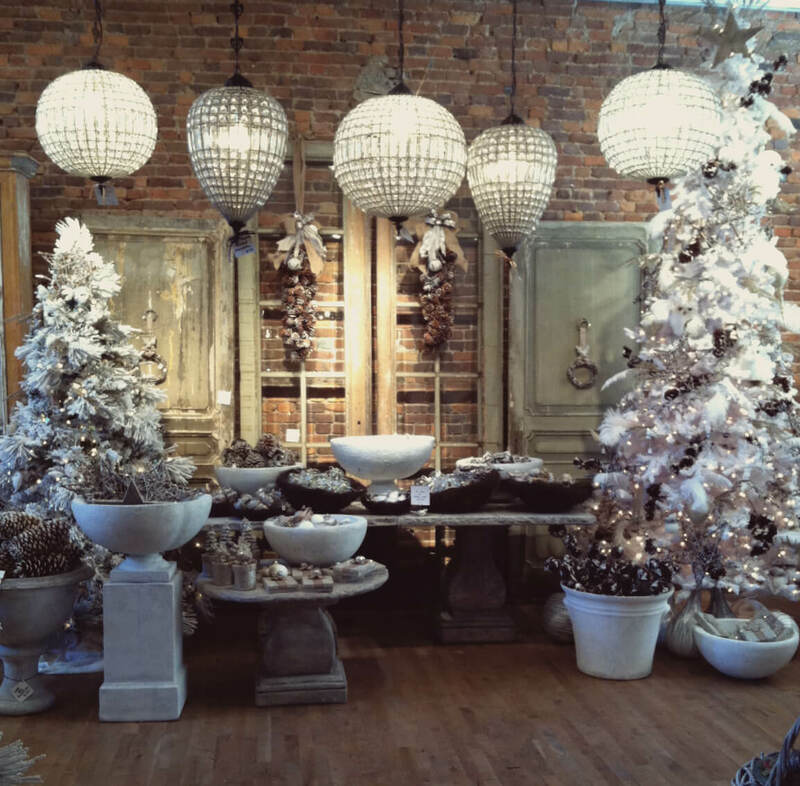 Of course, no visit to Main Street would be complete without stopping in at The Iron Gate, and nothing can put me in the holiday spirit quite like the beautiful sights and smells of our shop. It’s easy to find something special for everyone on my list here. Everyone knows that we have a wide variety of candles, lotions, and soaps, but you may not have realized that we have a great selection for the men on your list as well as the women! 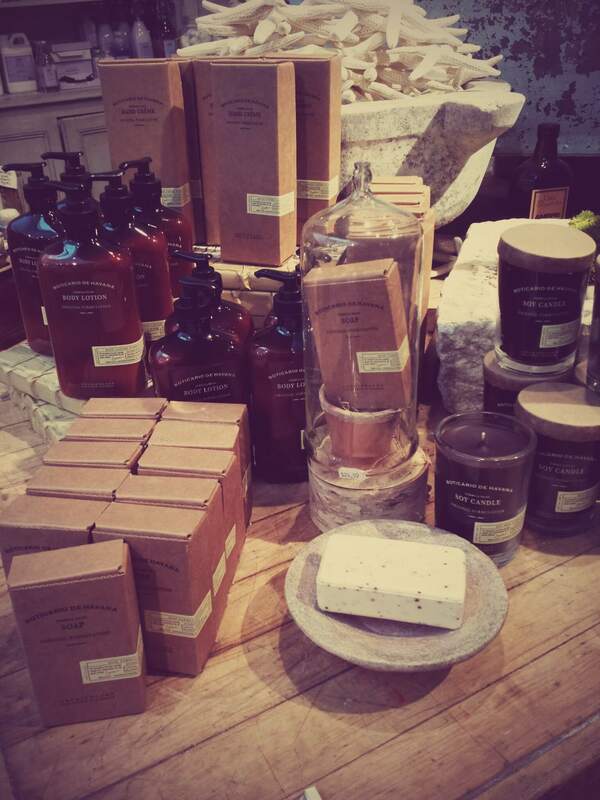 Our newest selection of men’s soaps, candles, and lotions from Archipelago. Keep track of your favorite hobbies in style. 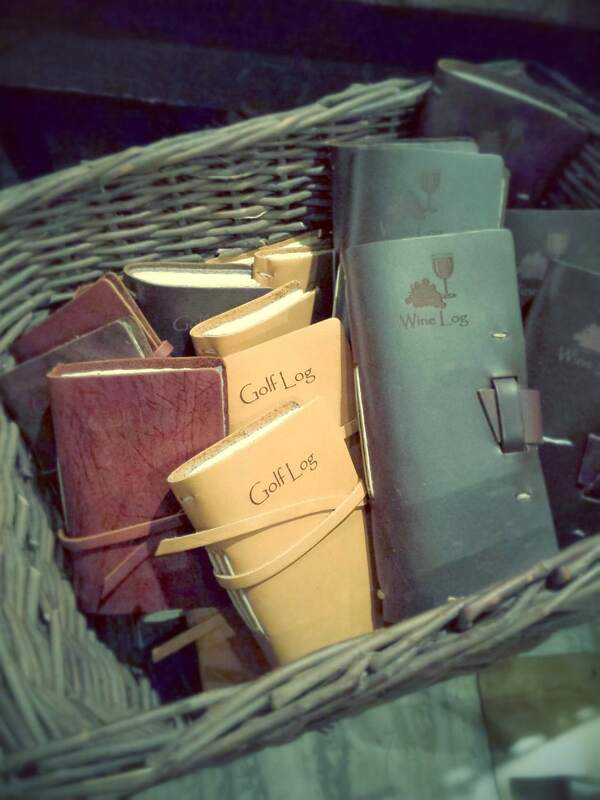 Leather bound golf and wine logs! 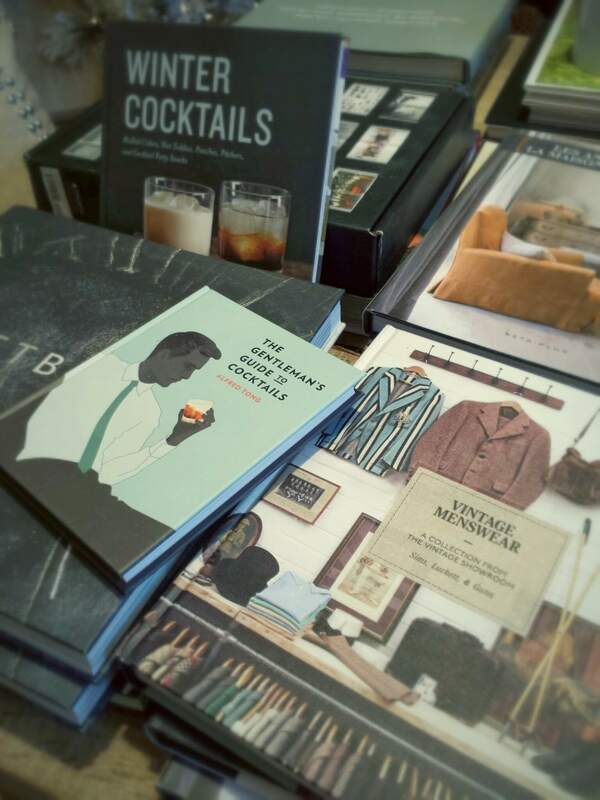 Lots of great reading with our wide selection of books. 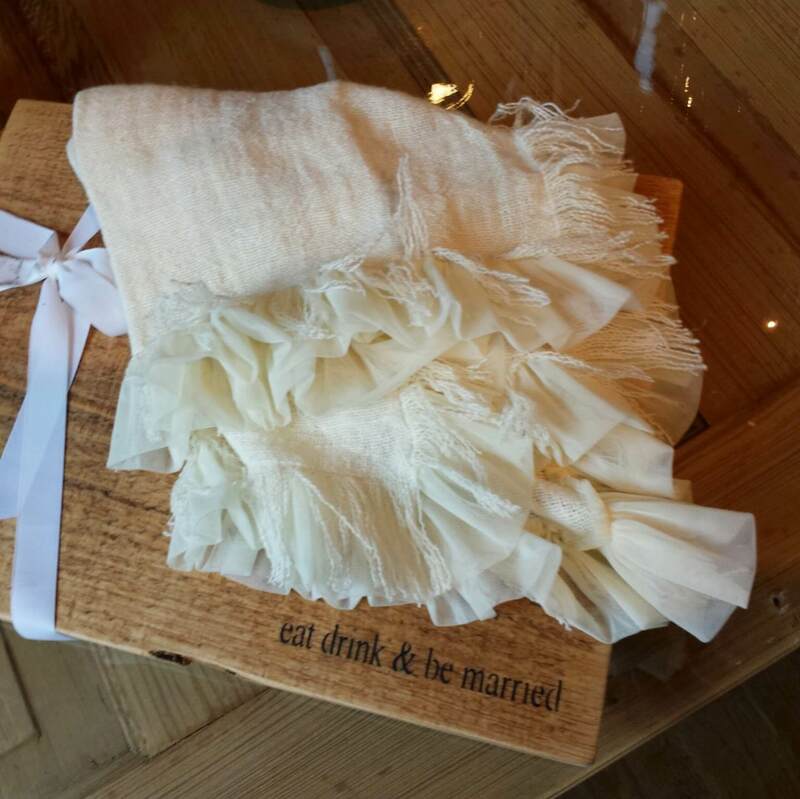 Dress up brunch with a bit of frill and a reclaimed wood serving tray. 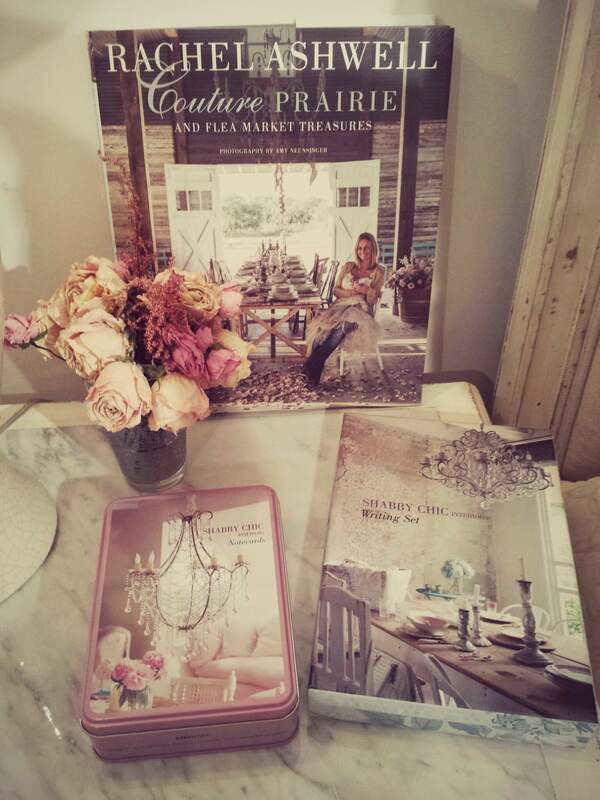 Get Shabby Chic Couture with an autographed copy of Rachel Ashwell’s new book, beautiful note cards, and a writing set. 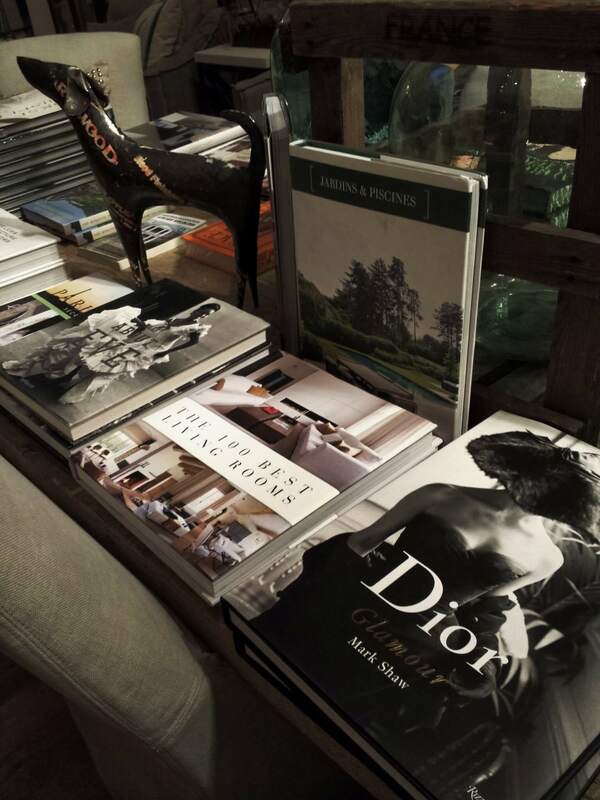 Books on fashion, art, and design. Gorgeous throws. 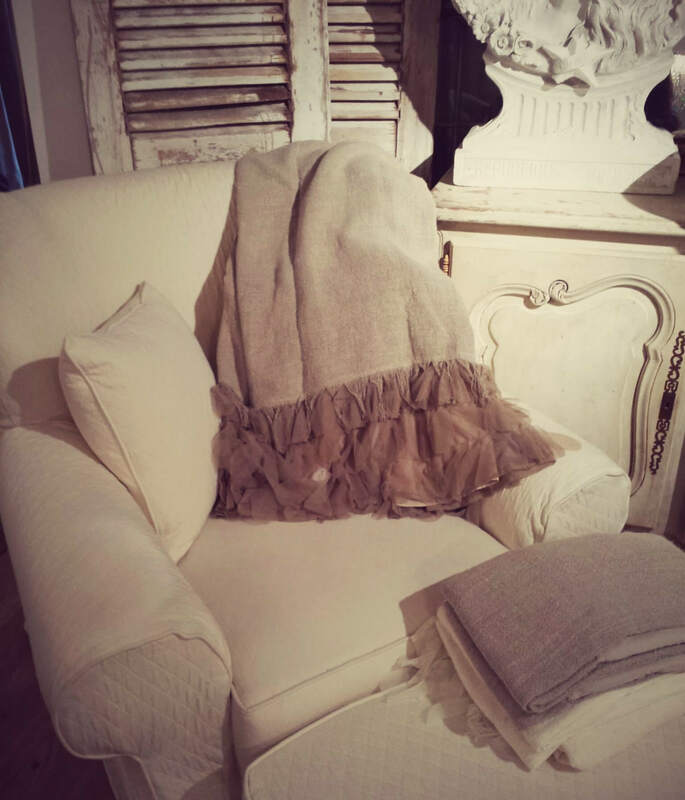 Lovely, with soft frill and warm linen. The Holidays Have Arrived at The Iron Gate! Come in and see our winter wonderland! 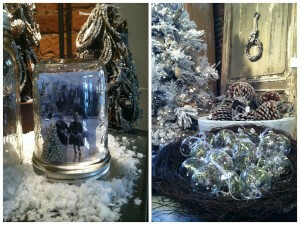 Silver and white, glitter and bows; it’s sure to put you in the spirit! 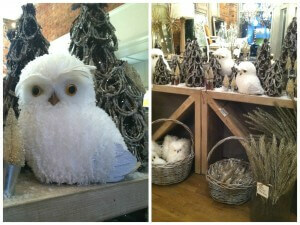 We are in love with these adorable white owls, they look so cozy nestled within a Christmas tree! You’re bound to find the perfect ornament for your tree this year, or that special addition to your center piece! And don’t forget the glitz! 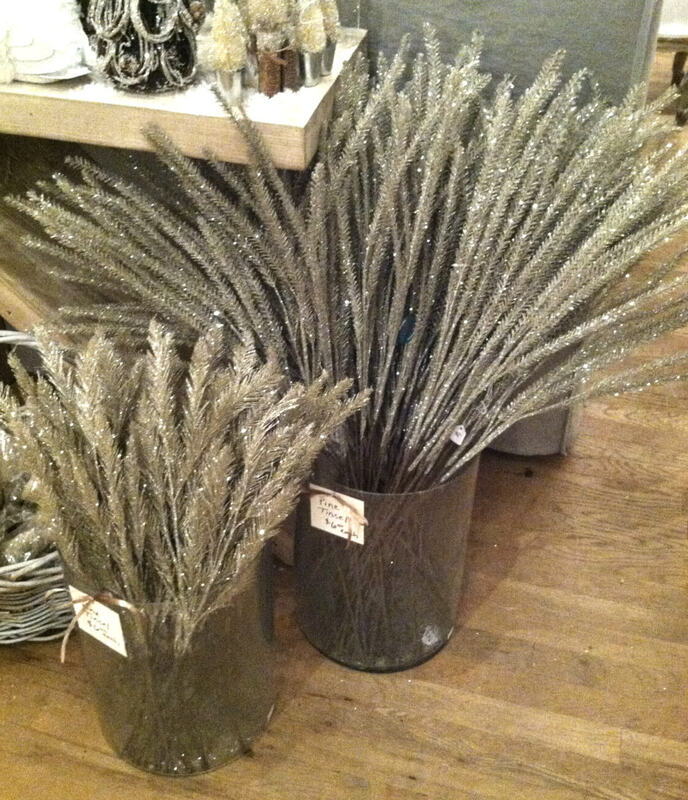 This pine tinsel makes a beautiful finishing touch! 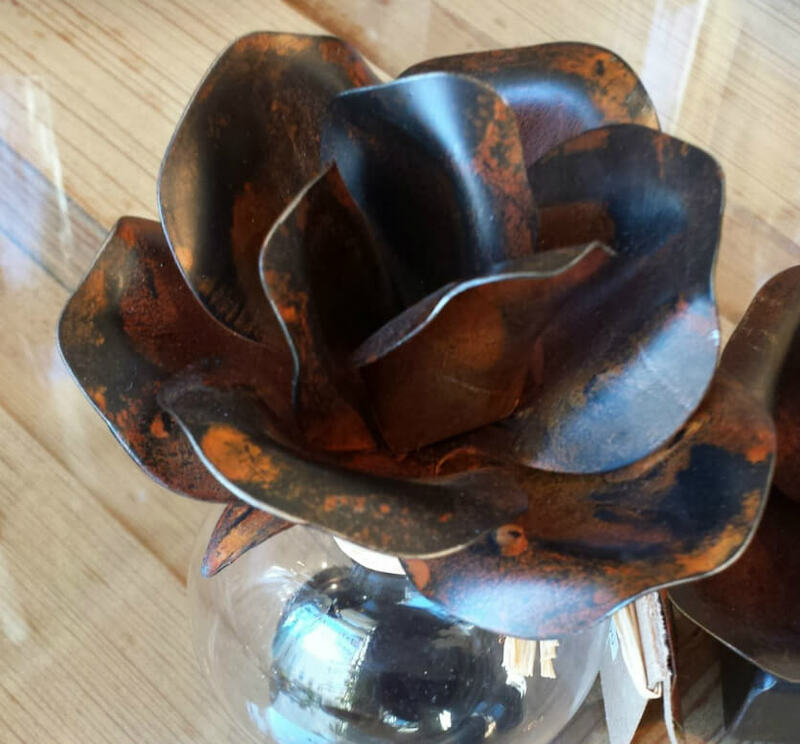 Come in and check it out, we can’t wait to see you!